Sticker packs now available again! Thread: Sticker packs now available again! We will be offering these by mail only. We will ship them out 2-3 times a month so handling time my vary up to 2 weeks or possibly more. We will only take Paypal as payment, please make sure your shipping address is up to date!!! For those asking, we won't be making the old cutout decals anytime soon. 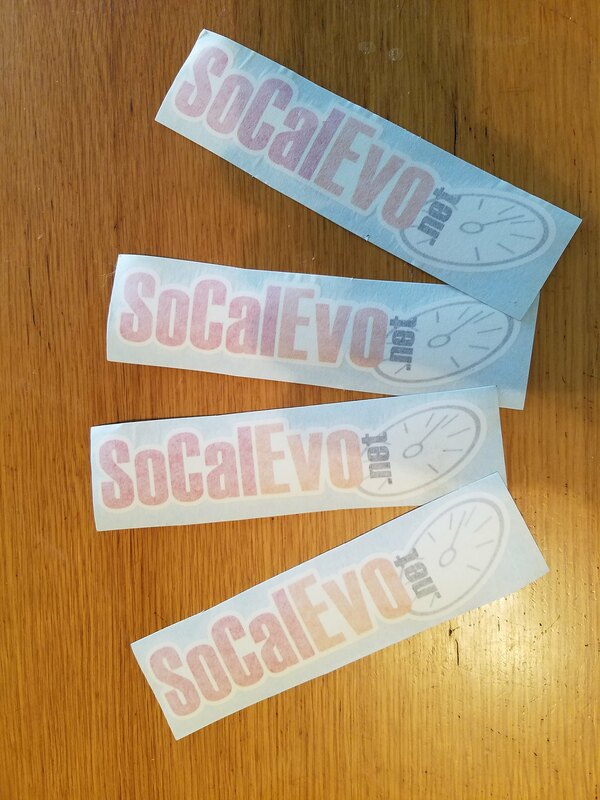 This pack will include 4 SoCalEvo.net window stickers and the cost is $7 shipped anywhere in the continental US... Overseas shipping will be extra.